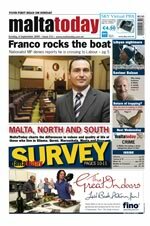 Nationalist MP Franco Debono has denied that he has privately suggested he was considering crossing the House to the Labour side. This newspaper is reliably informed of the persistent reports that Debono, 35, has already spoken to colleagues and friends that he would switch political allegiance. Debono surprised the electorate in 2008 when he managed to oust veteran minister Louis Galea from his constituency, to garner the highest number of votes in the fifth district, which comprises his hometown Zurrieq. Debono’s alleged ramblings about the government’s lacklustre performance are being linked to an imminent Cabinet reshuffle. Debono has privately expressed his opinion that he expects to be appointed to the new Gonzi cabinet. But such an appointment is already being considered “impossible” – MaltaToday was told – and something which Gonzi aides have long denied. 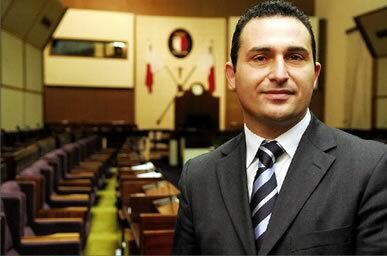 Debono is the head of his own law firm Franco Debono and Associates, and is known to enjoy close ties with Malta’s permanent representative to the European Union, Richard Cachia Caruana. But his outspokenness and volatile nature have made him unpopular with the Prime Minister’s closest aides. Many of his parliamentary colleagues consider him to be a renegade, with ambitious plans and no appreciation of the Nationalist party ethos. A source within the Labour Party said the Opposition sees him as an “unknown quantity”. Asked yesterday whether he would deny or confirm that he was suggesting that he would cross over to the Labour opposition, Debono first insisted that MaltaToday send him an email. When MaltaToday insisted on a confirmation or a denial, Debono first refused to comment and then said he definitely could deny the rumour.